Nutella fans rejoice! Now you don't have to scoop shame-filled spoonfuls of Nutella from the jar at home. 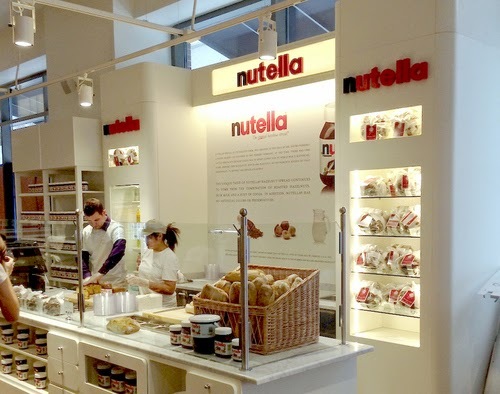 Instead, you may now join frenzied fans at the Nutella Bar at New York's Eataly to indulge in decadent variations on a chocolatey-hazelnut theme. The shop opens this upcoming Monday. Get ready for lines. To see the new menu, via Eater blog, click here.